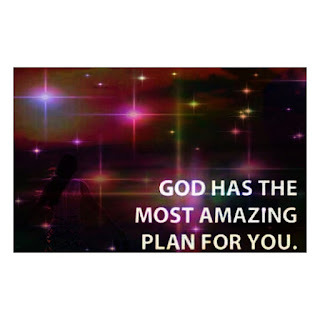 God already had His plan, but now, Samuel was going to influence God’s plan, because of fear. But guess what? God yielded! He found a way to make what He wanted Samuel to do easier for him. One would have expected that God would say, “What? I’m God! I’m telling you what to do; go do it boy; no one can kill you!” But no; God isn’t like that. Saul was the king of Israel at the time, and Samuel was more afraid of King Saul than of God, because he knew that God was loving, merciful and kind. So, God said, “Okay, here’s what you’ll do: organise for a sacrifice and invite Jesse for the sacrifice, and if Saul hears about it, just tell him you came to sacrifice to the Lord.” Can you imagine that? When He gives you an instruction or a direction, He watches to see your response or reaction. He may even consider your excuses and make some adjustment for you, just as in the case of Samuel. However, He doesn’t want you holding on to your fears. Our opening verse says perfect love casts out fear. Many have a problem doing God’s perfect will because of either selfishness or fear. However, the solution to both of them is love. Love has no selfishness, and love has no fear. Love is God’s solution to man’s real problems. You may disobey God and go after your own agenda, or because of fear you may disobey Him and go in another direction. But the truth is, when you learn to walk in love and open your heart to the reality of His personality, you’ll always be in sync with Him. As children of God we all face trials from time to time. These trials come not to destroy us but to challenge and build our faith. When we face our trials with the strength of the Lord, and with the assurance that they will ultimately turn out for our good, we will always triumph over them. In 2 Corinthians 1:8, we read that the trials the Apostle Paul faced were so horrendous that he sometimes desired to depart this life and be with the Lord. But Paul learned to live above his circumstances, and overcome all his challenges and you too can do the same. • Focus on God and not the problem. As you deal with life's trials, keep the eyes of your heart focused on Jesus Christ. He has the sovereign ability to handle whatever you are facing. When you relinquish control to God, He is free to work in a miraculous way. • Focus on the will of God and not on the opinions of men. Seeking the counsel of others always is a wise idea, and the Bible supports this. However, be sure what your friends tell you aligns with God's Word, which is your ultimate authority. Seek godly counsel from others but make sure that you spend time alone with God in prayer. God reveals Himself to those who seek His face. • Focus on positive results and not personal pain. No one enjoys hardship. However, when trials come, ask the Lord to show you what He wants you to learn from the situation, and how you can apply those lessons to your life. Paul lived above his circumstances because his focus was set on the Saviour and not on the trial. As a result, he gained a tremendous victory. Do you have chapters in your life that you wish you could rewrite? Do you have regrets or sorrows or wounds from your past?The wonderful promise of God is that He does not only forgive the repentant sinner—He heals the repentant sinner. Although it is true that we may suffer life-long trials because of sinful choices in the past, the Lord is able to restore the years that you may feel have been eaten up by sin, laziness or immaturity. God says, "I will restore to you the years..." How can this be? Will He reverse our life's clock, will He turn back our calendar? No. But God is able to pack so much living, so much vitality, so much blessing into the years that you have remaining that you will be enabled to live a life-time of joys and victories and pleasures in the remaining years you have left. Remember the thief on the cross? Here was a man who had squandered all his life on murder, thievery, and selfishness. And, yet, God arrested him in the waning moments of his life, brought him to repentance and faith in Christ, and then used the fleeting few minutes he had left to leave behind him an everlasting testimony of God's grace to save, to pardon, to instruct, and even to resurrect. No matter how the chapters of your life have been written thus far, know this: when you repent and turn to Jesus Christ for salvation, he is able to multiply to you the remaining years of your life and use you mightily for His kingdom. He is willing and able to restore the years the locust have eaten.